Welcome to Music Friday when we bring you fun songs with jewelry, gemstones or precious metals (in this case, medals) in the title or lyrics. Today marks the opening of the 2018 Winter Olympics in Pyeongchang, South Korea, so to get into the spirit of the Games — throwback style — we've searched our attic for an old neon leotard and a long-forgotten 45 of "Reach Out," the go-for-the-gold theme song from the 1984 Summer Olympics in Los Angeles. Composed by three-time Oscar winner Giorgio Moroder and sung by pop star Paul Engemann, "Reach Out" is a power ballad that includes the inspiring lines, "Reach out / Reach out for the medal / Reach out / Reach out for the gold / Come play to win / Never give in / The time is right for you to come and make your stand / Reach out / Reach out." The catchy chorus of "Reach Out" will bring back memories of Irene Cara singing "Flashdance... What a Feeling." And that's no coincidence. Only one year earlier, Moroder composed that song for the blockbuster 1983 film Flashdance. It earned Moroder, 77, a Grammy for Record of the Year in 1983 and an Oscar for Best Original Song in 1984. Moroder is frequently credited with pioneering electronic dance music. Engemann, 60, is best known for his 1983 song "Scarface (Push It to the Limit)." That tune, which was co-written by Moroder, was featured in the famous Tony Montana rise-to-power montage sequence in the motion picture Scarface, starring Al Pacino. Interestingly, the 1984 Summer Olympics had unique theme songs for individual events. For instance, Quincy Jones wrote "Grace" for the gymnastics competition and Foreigner's "Street Thunder" was played during the marathon. "Reach Out" was the theme of the track and field events. In all, there were 13 songs included in the album titled The Official Music of the 1984 Games. "Reach Out" was also included in Moroder's 1985 album Innovisions. 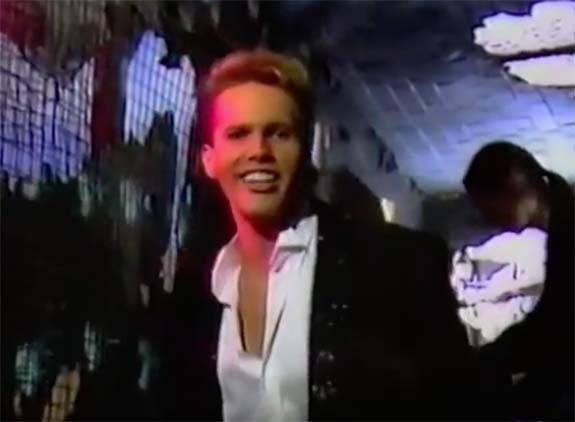 The song scored a #1 spot on the German singles chart, #2 on the Swiss singles chart and #81 on the U.S. Billboard Hot 100 chart. Written by Giorgio Moroder, Paul Engemann and Richie Zito. Performed by Engemann. An Illinois-based technology company is testing a diamond smartphone screen that it claims is six times stronger, 10 times harder and runs 800 times cooler than the leading competitor's glass. The revolutionary nanocrystalline diamond material is said to be "virtually unbreakable." Akhan Semiconductor is marketing the material as Miraj Diamond Glass. The company claims that its display is harder, stronger and thinner, while running cooler to the touch. Akhan Semiconductor boasts that Miraj Diamond Glass exhibits the brilliance and beauty of a real diamond. Diamond is the hardest substance known to man and the only thing that can scratch a diamond is another diamond. Still, despite their hardness, diamonds can be brittle. A diamond struck by a hammer, for instance, will shatter. Akhan Semiconductor has solved this issue by arranging the diamond nanocrystals in a random pattern to help lower the probability of the screen fracturing. The company claims the new screens are virtually unbreakable and shatterproof. Akhan Semiconductor is partnering with an unnamed smartphone company, which is currently putting Miraj Diamond Glass through a series of tests. Among the issues being worked out are reducing glare and ensuring that the diamond material can respond to the touch. The company is also studying how Miraj Diamond Glass performs when applied as a top layer to other materials, such as conventional glass or Gorilla Glass. Akhan Semiconductor is also planning to introduce Miraj Diamond Glass to related product lines, such as screen protectors and fitness bands. 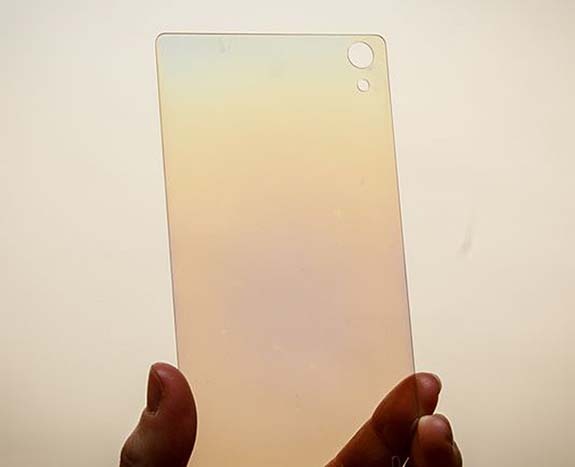 In the past, phone makers have experimented with sapphire crystal screens. Sapphire is the second-hardest material (rating 9 on the Mohs scale, while diamond rates a 10). 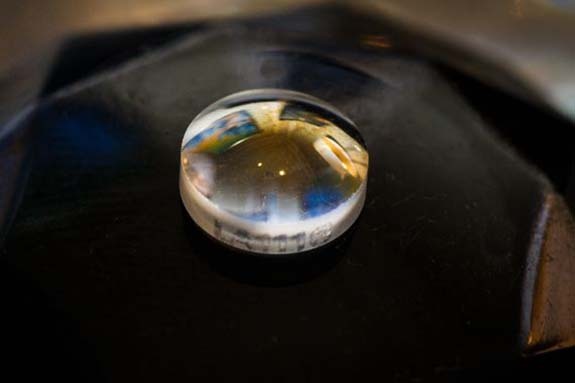 The maker of Miraj Diamond Glass claims that the nanocrystalline diamond is superior to sapphire not only because it is harder, but because it can flex to a greater degree. If testing goes well, expect diamond smartphone screens to hit the market in high-end devices by 2019. Credits: Images courtesy of Akhan Semiconductor. For the second year in a row, jewelry tops the list of Valentine's Day gifts, according to an annual survey released by the National Retail Federation. U.S. consumers are expected to spend $4.7 billion for jewelry-related items on Cupid's favorite holiday, up 9.3% compared to 2017. Jewelry is not only the most popular category in 2018 — outperforming an "evening out" ($3.7 billion), flowers ($2.0 billion) and clothing ($1.9 billion) — but it is also the fastest growing. The "evening out" category is down 2% from 2017 and 17.6% from 2016. Flowers and clothing were both flat, compared to 2017. Rounding out the most popular Valentine's Day gifts for 2018 are candy ($1.8 billion), gift cards/gift certificates ($1.5 billion) and greeting cards ($894 million). The NRF reports that overall spending on Valentine's Day gifts will reach a near-record $19.6 billion in 2018, narrowly missing the high-water mark of $19.7 billion in 2016. Valentine spending in 2017 was $18.2 billion, according to the NRF. Jewelry will be the gift of choice for 19% of Valentine's Day consumers in 2018, the exact percentage tallied in 2017. This compares to an "evening out" (to be gifted by 36%), flowers (17%), clothing (17%), candy (55%), gift cards/gift certificates (15%) and greeting cards (46%). The average amount spent on Valentine's Day gifts in 2018 is expected to creep up to $143.56 from last year's $136.57. That's an increase of 5.1%. 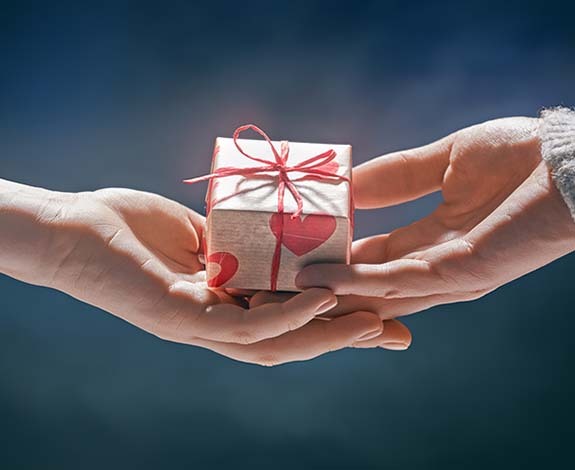 Valentine gift-givers will spend an average of $88.98 on their significant other/spouse ($12.1 billion), $25.29 on other family members, such as children or parents ($3.5 billion), $7.26 on children’s classmates/teachers ($991 million), $7.19 on friends ($982 million), $5.50 on pets ($751 million) and $4.79 on co-workers ($654 million). The overall observance of Valentine’s Day will go up a tick in 2018. Exactly 55% of respondents said they will celebrate on February 14, up 1 percentage point compared to 2017, but down from 63.4% in 2007. The NRF’s 2018 Valentine’s Day spending survey was designed to gauge consumer behavior and shopping trends related to Valentine’s Day. The survey was conducted for NRF by Prosper Insights & Analytics. The poll of 7,277 consumers was conducted from January 3-10, 2018, and has a margin of error of plus or minus 1.1 percentage points.